First off, Happy Independence Day for those folks in the former 13 colonies! It’s been far too long since I last posted. Even without the posting, I’ve been working on some more models. I’m once again entered into a modeling/painting challenge over at the Bolter and Chainsword. This time, I’m in the E Tenebrae Lux V competition. We’ll see if I can actually finish anything. 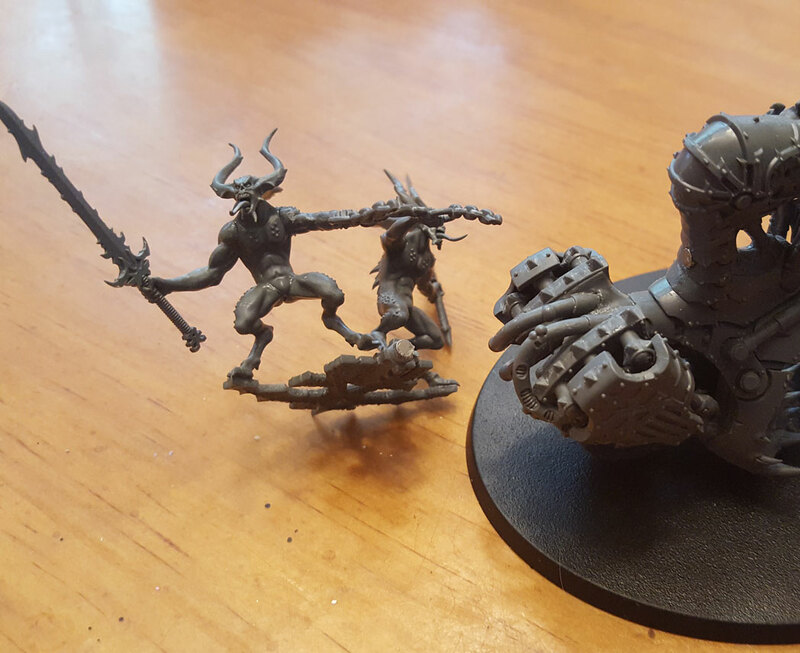 So first up is this Skull Cannon of Khorne. 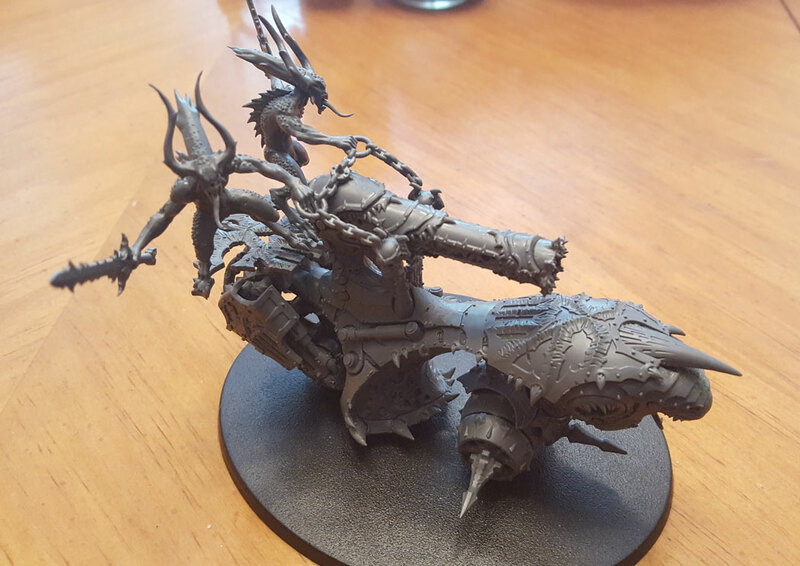 I’ve been wanting to add one of these to my Khorne Daemonkin army as a reserve unit I’ll summon off Blood Tithe points. One thing about this model is that the standard way of putting it together makes it hard to store. I modified mine to make it easier to put in foam. Closer look at the magnets in the Skull Cannon. I put magnets on the little platform for the Bloodletters, so they can now come off and make storing them in a foam transport easier. It took a little work to get the magnet pieces right, but I think it was worth it. The one thing about this model that I found you have to watch carefully as you put the model pieces together. Some parts overlap others, and if you don’t put them together right, you can easily create gaps. 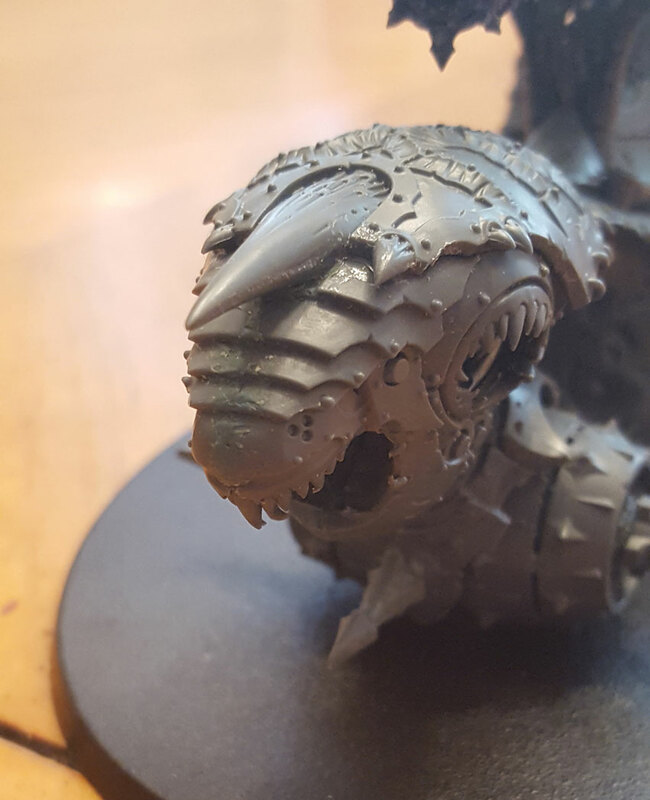 Had to fix the “nose” of the Skull Cannon with green stuff as there was a gap after putting it together. Case in point here. I ended up with a gap on the front that I had to use green stuff to fill. So if you get this baby, make sure you put it together carefully. I’ve got another one in the box in my modeling bucket. Hopefully I’ll get that one right. I’ve got a couple other models I’m working on. I’ll post pic of them in the next day or two. As always, thanks for looking. ← Black Legion squad is finished!